SHANGHAI (Reuters) - Asian stocks erased losses on Friday as China shares recovered after government statements sought to bolster market confidence following data showing the slowest Chinese economic quarterly growth since the global financial crisis. The MSCI's broadest index of Asia-Pacific shares outside Japan <.MIAPJ0000PUS> was up 0.05 percent after earlier falling as much as 0.9 percent ahead of the release of China's latest GDP reading. Australian shares fell 0.05 percent and Japan's Nikkei average was 0.7 percent lower, on track for its third straight week of declines. China shares see-sawed but were up in early afternoon trade amid statements and signs of government support for the market. The Shanghai index, which in the morning fell to its weakest level since Nov. 21, 2014, was up 0.9 percent in the early afternoon. The blue-chip index <.CSI300) was 1.2 percent ahead. A weak Wall Street on Thursday had earlier set the tone for many Asian markets. The Dow Jones Industrial Average fell 1.27 percent, the S&P 500 lost 1.44 percent and the Nasdaq Composite dropped 2.06 percent. "Markets continue to digest the combination of higher U.S. rates, ongoing trade tension and Chinese growth concerns," analysts at ANZ said in a note. 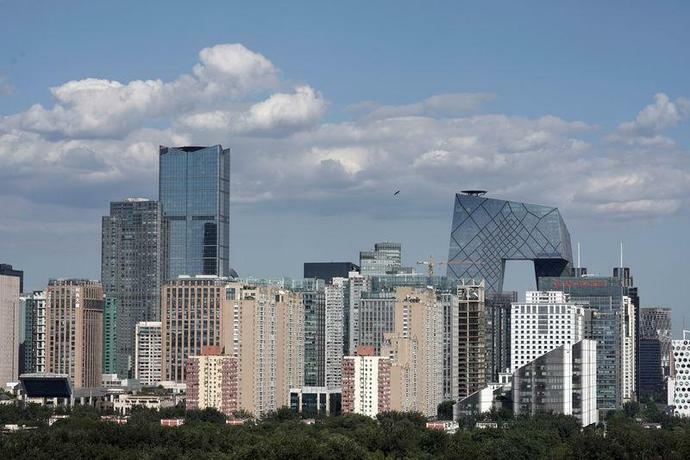 China's economic growth in the third quarter slowed to 6.5 percent, its weakest pace since 2009 and below expectations, as a campaign to tackle debt risks and the trade war with the United States weighed on the economy. "Weakness is largely coming from the secondary industry- most notably manufacturing," said Betty Wang, senior China economist at ANZ. "We may review our Q4 forecasts. Property investment continues to hold up which may provide some support." Shares in China initially sputtered, then firmed as investors digested statements from senior regulators pledging support for private firms and companies facing liquidity problems. China's banking and insurance regulator also said on Friday that it may allow bank wealth management subsidiaries to invest directly in stocks. Kota Hirayama, senior emerging markets economist at SMBC Nikko Securities in Tokyo, said that downward pressure on Chinese growth in part reflected the impact of Beijing's long-running deleveraging campaign. "The government has been aware of the negative impact from deleveraging and has swung towards easing around June, but the positive impact is yet to be felt," he said. "There should be enough funding and if the funds trickle down to public works, we could expect to see positive impact in the next quarter." Analysts cautioned that China's economy would continue to face difficulties. "Looking ahead, economic outlook is not optimistic with exports facing further headwinds as U.S. tariffs kick in and demand from emerging countries ebbs," said Nie Wen, an analyst at Hwabao Trust in Shanghai. China's premier said this week that the economy faces increased downward pressure, but that government will take measures to stabilize growth amid the trade war. In the latest trade war volley, the U.S. is requesting that a World Trade Organization dispute resolution panel look into tariffs imposed by China, the European Union, Canada and Mexico in retaliation to U.S. tariffs on steel and aluminum. Further fraying market nerves, the European Commission on Thursday said a draft 2019 budget from Italy was in "particularly serious non-compliance" with EU rules, setting the stage for a possible unprecedented rejection of the country's fiscal plan. On Thursday, the flight to safe-haven assets partly dampened rising U.S. Treasury yields. On Friday, however, the 10-year yield rose to 3.1807 percent from the U.S. close on Thursday of 3.175 percent. The two-year yield, sensitive to expectations of higher Fed fund rates, rose to 2.8824 percent. The euro was up 0.06 percent at $1.1459, having lost 1.3 percent in a month, while the dollar index, which tracks the greenback against a basket of six major rivals, was a touch higher at 95.936. The dollar was up 0.16 percent against the yen at 112.36 . Oil prices ticked higher after falling on Thursday. U.S. crude was up 0.2 percent at $68.78 a barrel and Brent crude was trading at $79.43 per barrel, also 0.2 percent higher. Now, the North Korean leader is turning to the Russian president for help. Kim left North Korea by train and crossed into Russia on Wednesday, the Interfax newswire reported, citing an unidentified official. The trip -- coming almost a year after Russia's invitation -- appeared timed to show that Kim has alternative sources of support after his failed meeting with Trump in Hanoi left North Korea with no clear path to escape a U.S.-led international economic embargo. China's Foreign Ministry said on Tuesday it has formally complained to the United States over its decision to end waivers on sanctions on Iranian oil imports, adding another fault line to already complicated Beijing-Washington ties. China is Iran's largest crude oil customer, with total imports last year of 29.27 million tonnes, or about 585,400 barrels a day, roughly 6 percent of China's total oil imports, according to customs data. Washington has announced that all Iran sanction waivers will end by May, causing crude oil prices to rise and pressuring importers to cut their Iranian imports to zero. Xi is overseeing a sweeping plan to refurbish the People's Liberation Army (PLA) by developing everything from stealth jets to aircraft carriers as China ramps up its presence in the disputed South China Sea and around self-ruled Taiwan, which have rattled nerves around the region and in Washington. The navy has been a major beneficiary of the modernization, with China looking to project power far from its shores and protect its trading routes and citizens overseas. After boarding the destroyer the Xining, which was only commissioned two years ago, Xi watched as a flotilla of Chinese and foreign ships sailed past, in waters off the eastern port city of Qingdao. From grubby packaging engulfing small Southeast Asian communities to waste piling up in plants from the US to Australia, China's ban on accepting the world's used plastic has plunged global recycling into turmoil. For many years, China received the bulk of scrap plastic from around the world, processing much of it into a higher quality material that could be used by manufacturers.